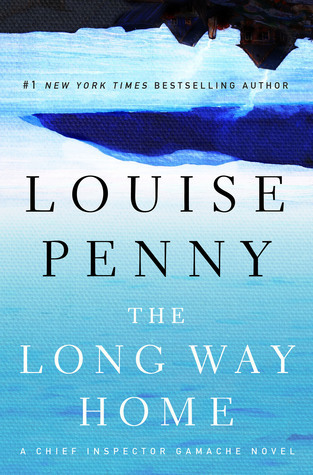 I have been a huge fan of Louise Penny and her Inspector Gamache mysteries since her first book, “Still Life.” I have begged people to read her books, and honestly, her works are so wonderful, so full of deep insight and art and food and literature that they make other notable mysteries pale in comparison for me. Her books have only gotten better with each successive title, and I thought that last year’s title, “How the Light Gets In,” was absolutely brilliant. However, at the end of “How the Light Gets In,” Ms. Penny changed the rules of the game: Chief Inspector Armand Gamache retires from the Quebec Sûreté, to settle down in the idyllic town of Three Pines. I wondered, even then, how Ms. Penny would continue with this series, as the books are police procedurals at their core. The newest book, titled “The Long Way Home,” was released this month, and I immediately, eagerly dove in for a dose of my favorite characters. How was Inspector Gamache handling retirement? How would we solve the latest murder now that he was no longer on the police force? The book starts in Three Pines, with the mystery of what happened to Peter Morrow. Peter, husband to the village’s brilliant artist, Clara Morrow, left a year ago when Clara asked for a trial separation. Now, the year is up, and Peter was supposed to return so the couple could decide if their marriage has a future. Except, Peter doesn’t return, and Clara is worried. Lo, she has a friend who once was a Chief Inspector, and of course, he decides to help her find Peter. The hunt begins. I won’t say more about the book’s plot than that. The book lets you visit with all our favorite Three Pines residents. I especially enjoyed seeing more from Ruth. However, for me, this was not a mystery. The hunt for Peter had no special urgency, and after a while, I found myself skimming just to get to the end. And the end… Wow, but I hate to say it, but the ending was cheap, and deeply unsatisfying. What was accomplished by this end? I really don’t know. And how the various characters “deduced” what happened was unbelievable. A person can only look at a painting and infer so much. So, here’s hoping that the next book has a murder, some police work, and some real narrative drive. Perhaps others will see this title differently. The book has some lovely bits, and as usual, Ms. Penny’s writing style is lyrical and full of heart. Yet, I was disappointed by this one. Hopefully, in the next one, Gamache and Company will be back in fighting form.